The collar... Measure the length of the neck at the back and the front. This will be half the length of the collar. Choose the with and draw a rectangle with those two measurements. See picture below. To draw a curve, find points 4 (about halfway between 2 and 3, and 5 (about 1.5 cm up from point 3). Finish drawing the collar as in the pic below. Point 2 will be your shoulder seam mark. Take your patterns and just make sure that point 2 actually matches the shoulder seam, by 'sliding' your collar pattern from the back seam toward the shoulder seam. Here I will be drawing a shirt sleeve (as per Bunka Fashion Series Garment Design Textbook 3 - Blouses and Dresses) which is wide due to the small sleeve cap, and has no ease. This is appropriate for relaxed fit garments with deeper arm opening. OK, so first, let's figure out the sleeve cap height. copy the arm opening curves for the back and the front next to each other - see the picture on the left. Draw a vertical line from the sideseam up. Draw horizontal lines from the shoulder points toward the vertical lines (points 1 and 2). Find point A halfway between 1 and 2. Measure distance from A to B - half that distance will be the sleeve cap height (C is halfway between A and B; distance from A to C is the sleeve cap height). Now take some tissue paper, or other transparent paper you might use, and put over the drawing in the previous picture. You need to be able to see the arm opening curve clearly. First, lets do the back. Extend the shoulder line by 8 cm and then draw a 2.5 cm long line perpendicular to that line. 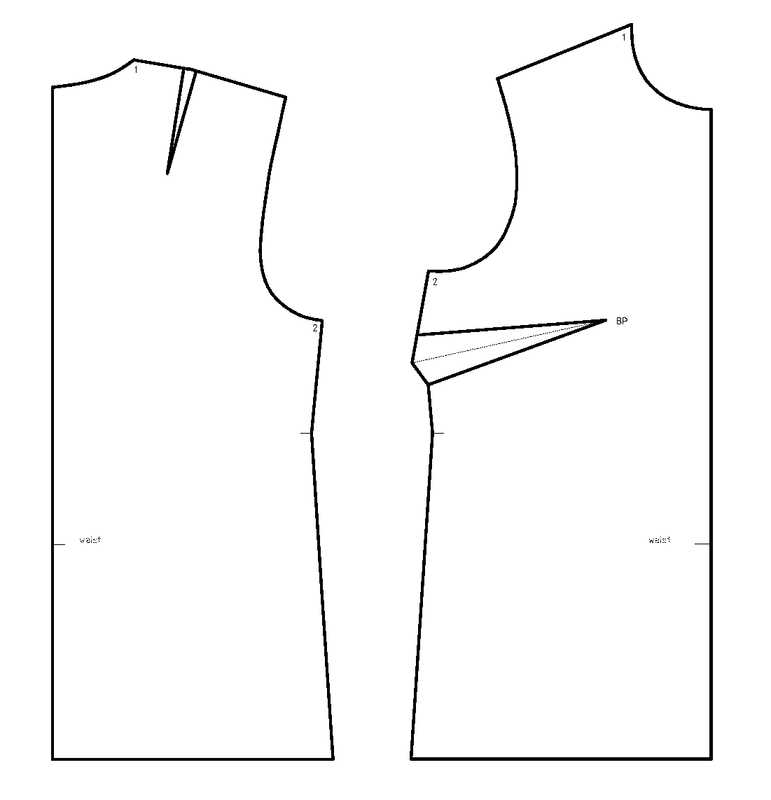 This will give you the angle at which the sleeve is drawn against the back bodice pattern, see pictures below. 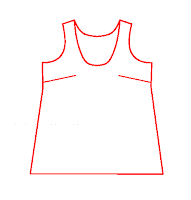 Connect the triangle and extend by sleeve length (from the shoulder point at the shoulder seam). Next, measure the cap height from the shoulder point. Draw a perpendicular line. This is the line that will be the widest point of the sleeve, right at the bottom of the sleeve cap. Now, draw the sleeve cap curve. Its not as bad as it seams. Start at the shoulder seam; go a bit over the arm opening curve; touch the arm opening curve at about 1/2 length of the arm opening and then curve down to that line you drew for the sleeve width. make sure that the length of the arm curve from 1 to 2 is about the same as the length on the sleeve cap from 1 to 3. Again, there is no ease on this sleeve, but you do want to make sure that the sleeve cap is not shorter than the arm opening on the bodice. Finally, draw the hemline of the sleeve, parallel to the sleeve with line and connect to point 3. I made the "hem" a bit narrower - by 1/4 of the whole width. Repeat the same for the front part of the sleeve with one modification. 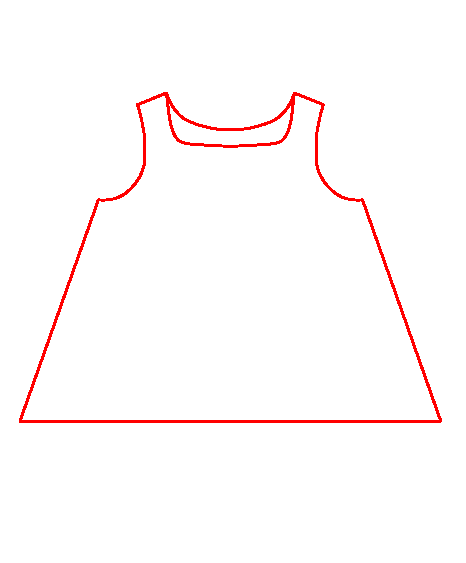 The front sleeve cap curve needs to be a bit deeper than the back, so your sleeve cap will go slightly above the arm opening first, then cross below about halfway from the shoulder to the point that corresponds to point 1 on the back (at the same height from the top of the side seam). Finish as for the back. Finish the sleeve as for the back. I took in the same amount at the hem as for the back. Cut the two pieces out and tape them together. I did not cut all the way to the sleeve cap curve, just in case it needed to be adjusted. It did, a bit (ignore the double curve in the back, I actually miscalculated the sleeve cap height fist time around). Finally, point 1 will be used as a marker for fitting the sleeve, so mark those on the sleeve and on the bodice patterns. In Challenge 7 I used a different method of drafting sleeves (from the same book) - I drafted a tighter sleeve with a height sleeve cap; and another wider, with smaller sleeve cap. You could also use that method to draft a sleeve for this shirt. Oh, this is simple fantastic. I've been learning a lot from your explanations. Why have you left to write in your blog? It is awesome!! !